Phpscriptsmall is a leading and profession PHP software solution delivering different types of innovative readymade PHP scripts to the clients. We are the right place to deliver the best Scriptto the customer. We also provide 1 year technical support, free updates of source code for 6 months. After purchasing the software your website will go live within next 24 hours.Since we have more than 15 years of experience we deliver the best Healthcare Management Script to the clients. 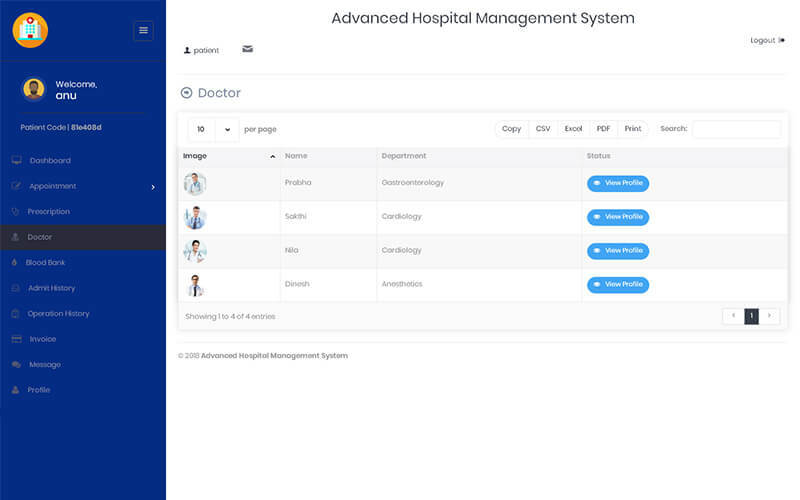 I been running the hospital for past 2 years and I suggest to go withhospital management erpwebsite at last your website helps me in various segments of healthcare industry. I was blind to start website in hospital management and the scriptsmall team given a right choice to made asspecular way, really appreciate you guys. Since your ERP solution has unique one with minimal cost and I highly recommended for automated organizations.